Product Information DESCRIPTION LA Science Shampoo maintains the condition of the scalp, creating the best environment for anti-hair loss by strengthening the hair follicle and increasing the blood supply to the treated area. 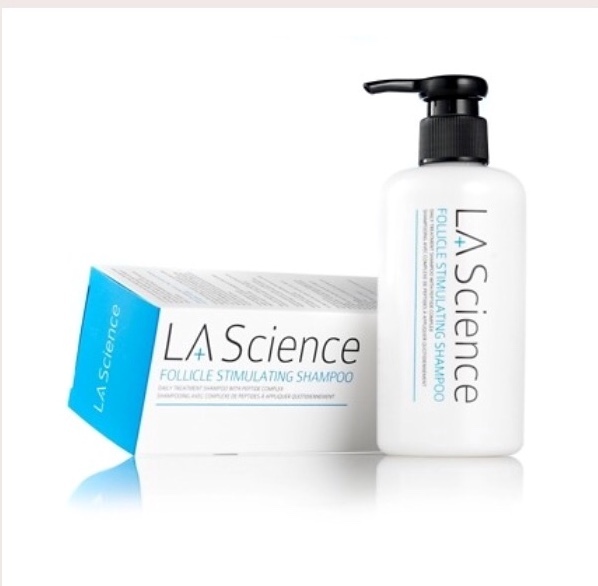 In a market where the range of available products is both overwhelming and costly, the highly acclaimed LA Science Follicle Stimulating Shampoo and Anti Hair-Loss Serum provide a clinically proven solution that is affordable and trusted - as regularly demonstrated by the flood of customer testimonials and brand support across the national press. And thanks to the recent surge of media interest, LA Science Follicle Stimulating Shampoo has now assumed a ‘cult’ following among women who simply want to add volume and increase the thickness of their own fine hair and benefit from the ‘growth-factor’ peptide properties of this luxurious, conditioning shampoo! As leading experts in the Anti-Hair Loss arena, LA Science continuously invests in R&D to ensure the most up to date technologies are available to customers to combat their hair loss condition. The recent reformulation is based on the existing highly effective formula with the addition of a new ‘growth-factor-mimicking’ peptide. The result is a broad spectrum powerhouse of ingredients specifically designed to stimulate and promote optimal hair growth and restore full, thick and healthy hair. 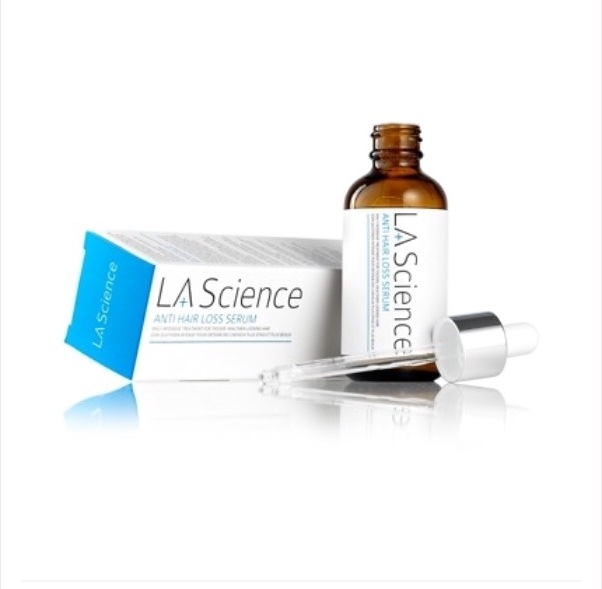 LA Science's patented nano-liposphere technology delivers these innovative growth-factor-mimicking peptides and potent actives directly into the hair follicle to ensure LA Science customers experience thicker, fuller hair. Directions: Work a small amount of shampoo through wet hair, then massage gently, touching the scalp to help stimulation. Start with the roots of the hair and work through to the end & rinse thoroughly. Ingredients: Water, Sodium Laureth Sulphate, Ammonium Laureth Sulphate, Disodium Cocoamphodiacetate, Cocoamide MEA, Cocoamidopropyl Betaine, Polyquaternium-7, Dimethacone, Glycol distrearate, Fragrance (Parfum), Dipropylene Glycol, Polyquaternium-10, Citric acid, Guar, Hydroxypropyltrimonium Chloride, Methylchloroisothiazolinone, Hydrolysed keratin, Hydroxypropyltrimonium Hydrolzed silk, Laureth - 23, Laureth - 3, Lawsonia Inermis (Henna extract), Pleuropterus Multiflorus Root extract, Glycerin, Thuja Orientalis Root Extract, Polygala Tenuiforia Root Extract, Climbazole, Glccine Soja (Soybean) oil, Phosphatidylchlorine, Arginine, Biotin, Octapeptide - 2, Copper Tri peptide - 1.